Here are the clients' inquiries of transformer winding resistance tester. 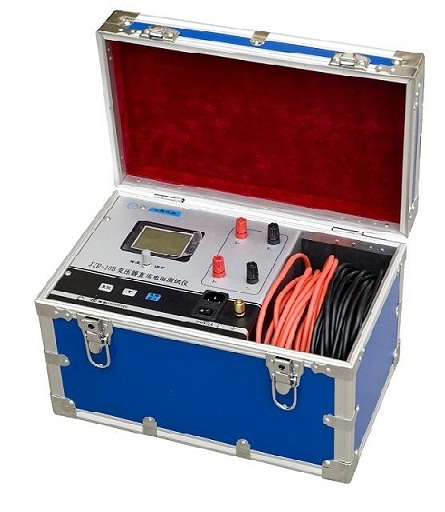 They need JYR10B/05B Winding resistance tester, Portable winding resistance tester, JYR-50A/40A/20A Winding resistance tester, JYR9310 Winding resistance meter. Quote：We need this device. Please send us price proposal. Quote：Hi, good day. I'm interesting to your winding resistance set model JYR9310. Can I have the videos of your product ?? Like video for Turn ratio JYT-F. Very clear to see the test and equipment. Thanks. Quote：Dear sir, our firm is electrical testing and commissioning based service providing firm, so we required winding resistance kit, and our regular testing, transformer rating is genrelly 300kva to 10 mva so please suggest suitable kit for thus range ASAP. Kingrun instrument company was established in 1999, located in Electric Valley in Baoding city, our main production is measuring instrument for power transformer, distribution transformer and electric power industry, such as transformer turn ratio tester, winding resistance tester, transformer oil breakdown voltage tester, transformer neutral grounding resistor etc. KRI is high technology company collects R&D, producing and sales together, and consistently devotes ourselves to studying the advanced measuring device usage for high voltage converting and transmitting. Kingrun has became regular supplier for international electronic giant such as ABB and SIEMENS, also has been the top supplier for Chinese State Grid group, Daya Bay Nuclear power station, Three Gorges power plant and other middle substations, transformer field. PREVIOUS：KRI will participate in the 2019 Thailand International Power Transmission and Distribution Equipment & Technology and New Energy Exhibition (IEEE PES GTD ASIA)NEXT：What are the serious consequences of transformers lacking periodic turn ratios and winding resistance testing?